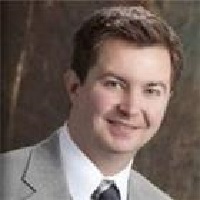 Brad A. Markvart is a claims attorney with SECURA Insurance Companies in Appleton, Wisconsin. He supervises outside counsel in representing SECURA and its insureds throughout the country. He is a 2002 graduate of the University of Wisconsin Law School, and a 1999 graduate of Marquette University. Attorney Markvart is admitted to practice by the State Bar of Wisconsin, the U.S. District Courts for the Western and Eastern Districts of Wisconsin, and the U.S. Court of Appeals for the Seventh Circuit, as well as the Oneida Tribal Judicial System. He is a member of the Wisconsin Supreme Court Office of Lawyer Regulation District 10 Committee. He is the past chairman of the State Bar of Wisconsin Lawyer Dispute Resolution Program Committee. Attorney Markvart is a member of the Wisconsin Defense Counsel Insurance Law Committee and the Defense Research Institute. He serves as the Claims And Litigation Management Alliance (CLM) Southeast Wisconsin Chapter Secretary.